Jeremy and I, on the advice of a friend, put out sunflower seed. 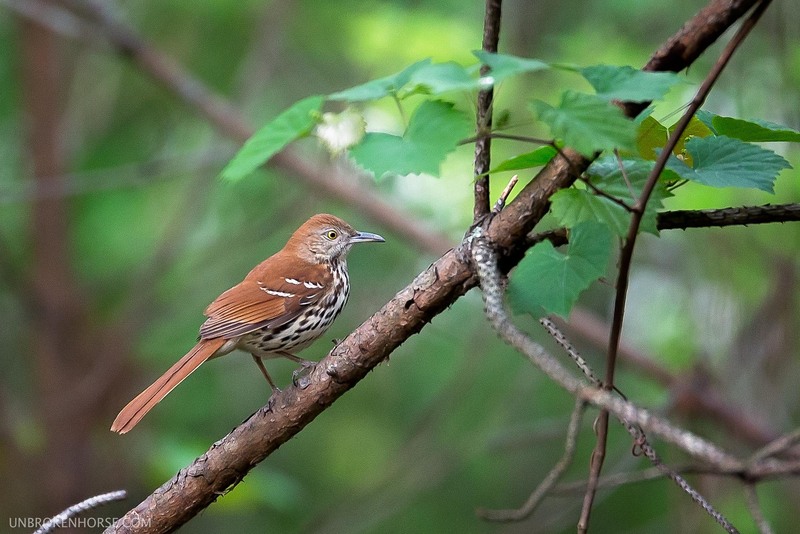 We’ve seen a huge increase in the types of birds that are stopping by! 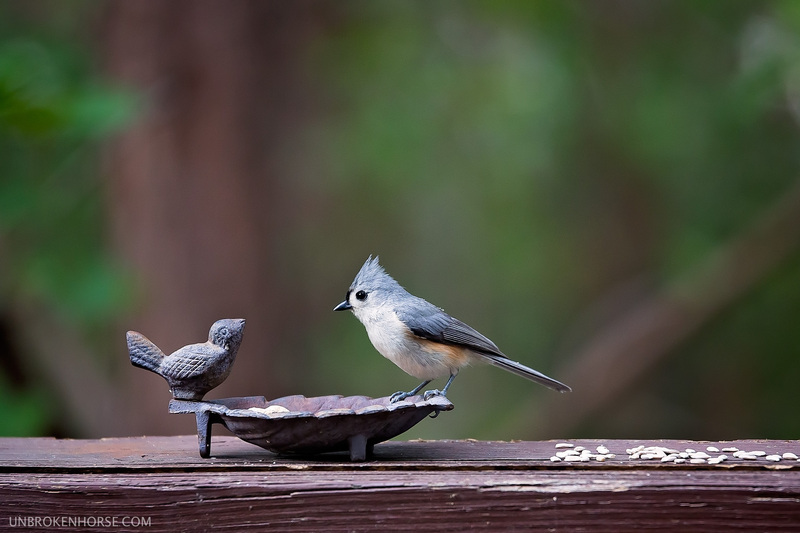 The cutest, in my opinion is this adorable tufted titmouse. He’s checking out his metallic bro. 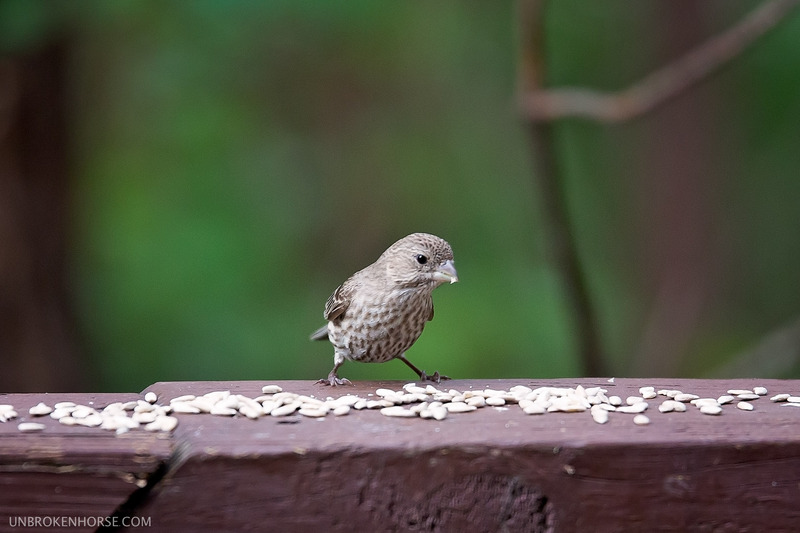 Female house finches stop by. This particular one has been taking a lot of seed in, and has been showing up much more regularly. Fingers crossed that she has a nest somewhere and will eventually show her nestlings our seed source. There is a second housefinch pair and they visit together, which is cute. 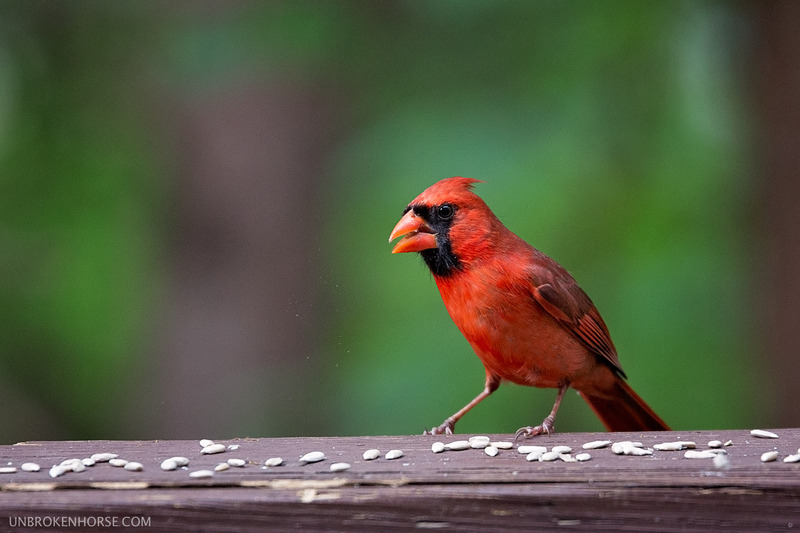 There are two male Cardinals that visit. This is the smaller of the two, and has a cute little crown. 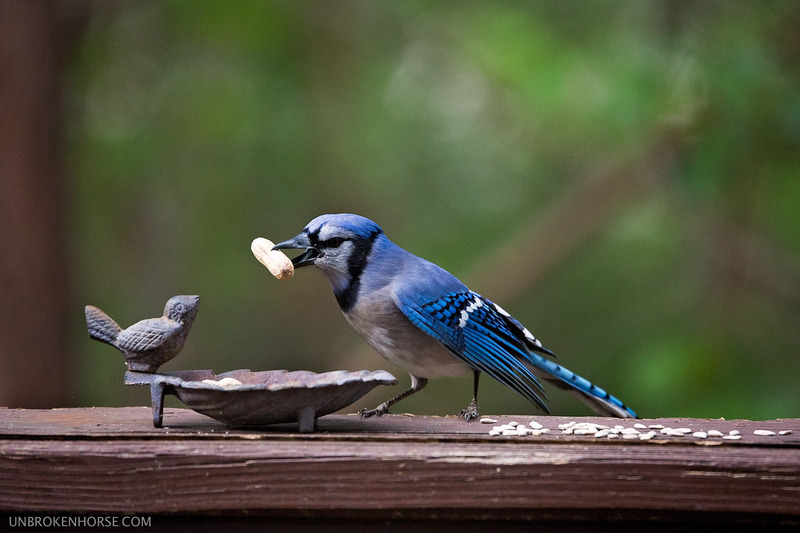 Our resident blue jay is always back for the peanuts. 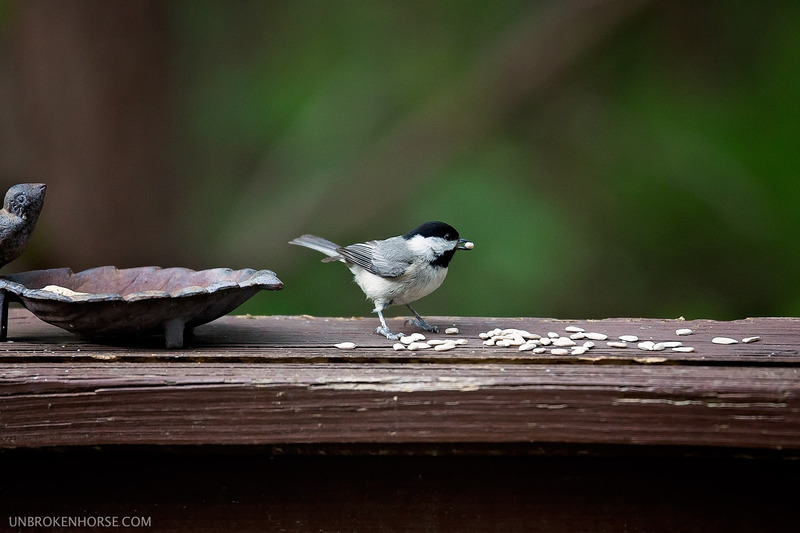 We have a pair of black capped chicadees as regular visitors now. I’ve been trying to get one in flight but no luck so far. 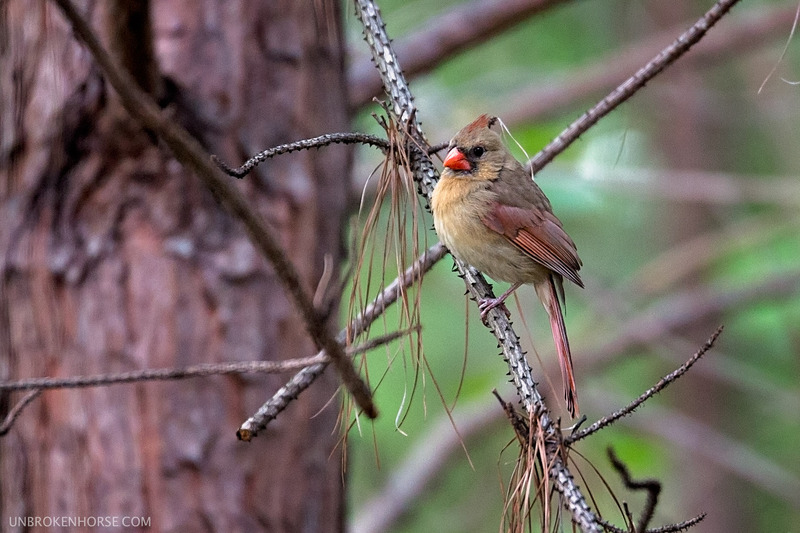 The matronly female cardinal likes to watch the other birds for a while before she’ll land and have a few seeds herself. Aaaand there’s this guy. He hasn’t actually come and eat any seeds yet. It’s almost like he just comes to check out what the big fuss is with all the birds on this side of his forest. 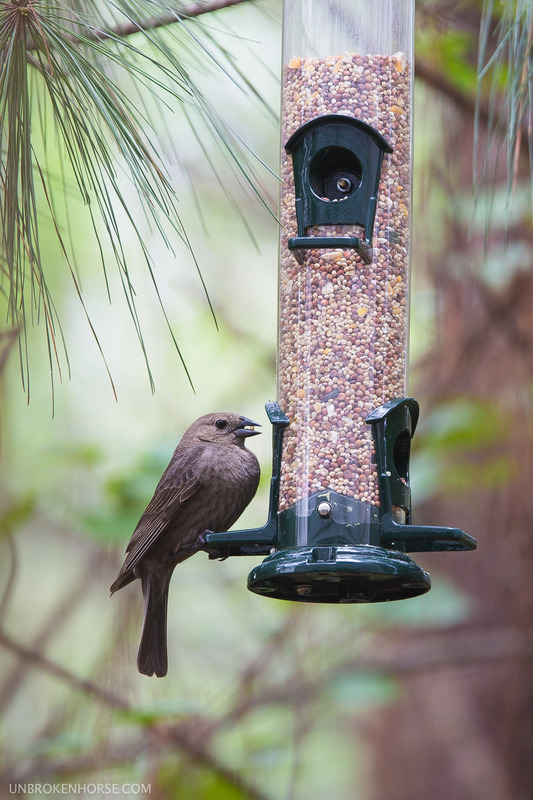 This is a brown headed cowbird female. On a side note, I freaking love reddit. I’ve been lurking there for years and years but recently I’ve been contributing to more subs. The people at /r/birding helped me identify this feathery mystery. 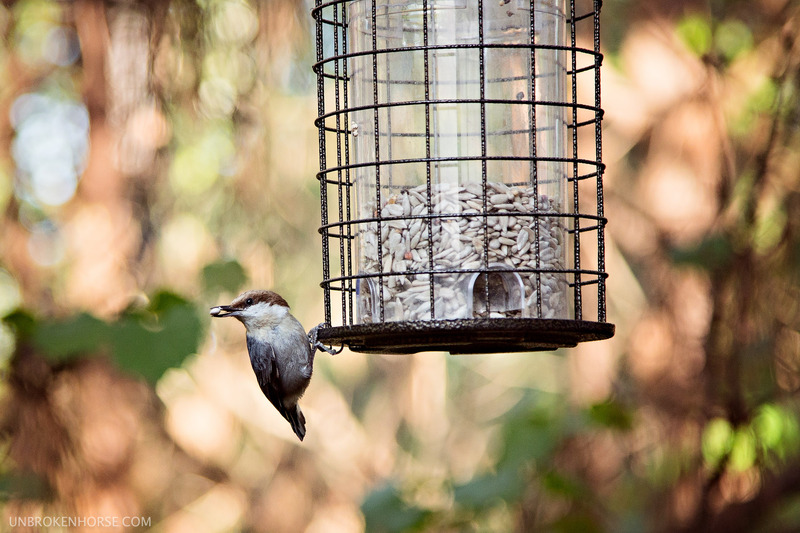 Last but not least, the brown headed nuthatch. He’s cuuuuuute, and fearless. I can be outside standing next to the feeder and he’ll come chirping away and grab some seed while I’m right there. He tends to favor the evening it seems, which means pretty late evening sunlight on the trees behind him.